Kevin Smith runs a series of coaching clinics throughout the year covering both short and long games. Contact Kevin to register your interest and get further details on his latest schedule. In addition we also provide for introductory beginners courses. These courses are ideal for either the new or recently new. They offer a great grounding of the basics and are an excellent way to ease yourself into the game. The program consists of weekly summer coaching working with modern, effective coaching techniques and strategies. 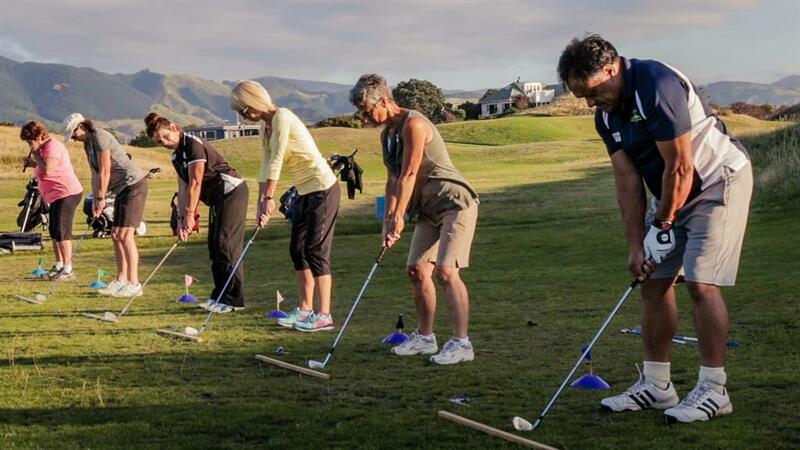 In the autumn, this coaching is complimented with on course play which links participants up with other "beginners", introduces the handicap system and covers relevant rules and etiquette. All players will have cards completed for handicapping by the end of the program. Challenge, humour and camaraderie are hallmarks of the program. 8 week course with coaching every Thursday between 6.15pm-7.15pm. Following tuition you then have oncourse access and regular group sessions for three months. Cost is $257pp To register your interest, contact Mary Gard'ner on either marydg8@gmail.com or 042336203.